Every health restoration item in Playerunknown’s Battlegrounds and how much health each item restores. 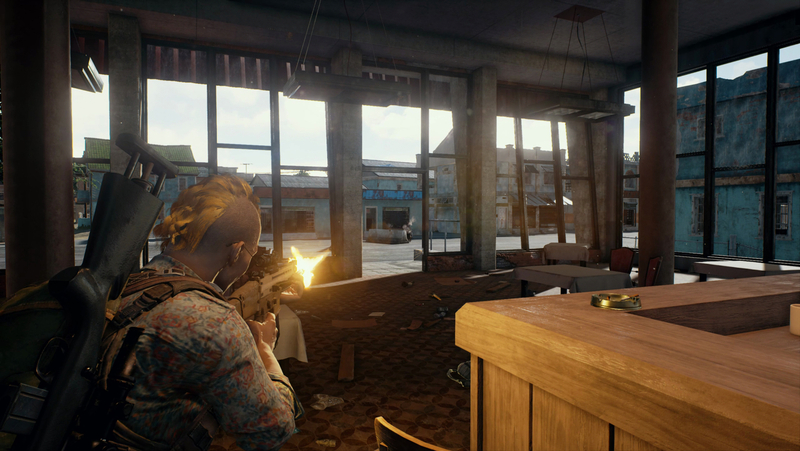 Even if you utilize our Playerunknown’s Battlegrounds survival guide to the best of your ability and install the ReShade mod to improve your visual awareness, chances are good that you’ll be on the receiving end of an attack sooner or later. Fortunately, there’s a variety of health restoration items spread around the game’s map. To help you figure out which to use, we’ve listed each item down below along with how much health they restore. First Aid Kit: Using a First Aid Kit will instantly bring your health up to 75 but you won’t be able to use it if your health is already at 75 or higher. It also takes a few seconds to use a First Aid Kit so make sure you’re in a secluded spot first, as taking damage or performing any other action will cancel the process. A maximum of 20 First Aid Kits can be carried at once. Med Kit: The Med Kit is basically a more powerful First Aid Kit, bringing your health up to a full 100. Unlike the First Aid Kit, using a Med Kit will root you in place so you should really make sure you’re safe and alone before using one. Similar to First Aid Kits, only 20 Med Kits can be carried at once. Bandage: Each Bandage used restores 10 health, but much like the First Aid Kit, you can’t use Bandages to restore your health above 75. Performing another action while using a Bandage will cancel the use. In addition to the health restoration items listed above, there are several other items you can find which don’t restore health but which do grant other beneficial effects. Painkillers: Using a bottle of Painkillers will increase your Boost stat by 60 and will also restore a small amount of health if you’re injured. You can carry a maximum of 10 Painkiller bottles at once. Energy Drink: Similar to Painkillers, each Energy Drink used will increase your Boost by 40 and restore a small bit of health as well. You can only carry four Energy Drinks at once so use them wisely. Adrenaline Syringe: Using an Adrenaline Syringe will allow you to keep moving at full mobility even when injured, something which can mean the difference between escaping a pursuer and being gunned down after a surprise attack.